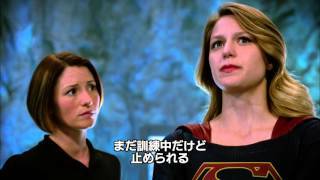 SUPERGIRL/スーパーガール <ファースト・シーズン> SUPERGIRL 2015年 © 2016 Warner Bros. Entertainment Inc. SUPERGIRL and all related pre-existing characters and elements TM and © DC Comics based on characters created by Jerry Siegel & Joel Shuster. SUPERGIRL series and all related new characters and elements TM and © Warner Bros. Entertainment Inc. All Rights Reserved. EPISODE 4 ヒーローテストHow Does She Do It?